Sorry, Your Special Promotion is Now Over! Oh no! You’re too late! The 4-day promotion on our other IRA Beneficiary Trust products is now over! 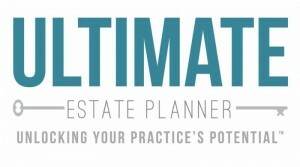 If you are seriously interested in purchasing one or more of the following products, contact our office at 1-866-754-6477 or at orders@ultimateestateplanner.com and someone will be able to speak with you about another promotion that we may have available. Thank you and we look forward to continuing to help you unlock your practice’s potential!